The last narrow-track tram in Stuttgart operated as "Linie 15" and went from the city up to the Television Tower. 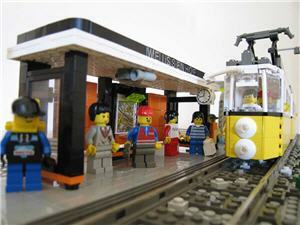 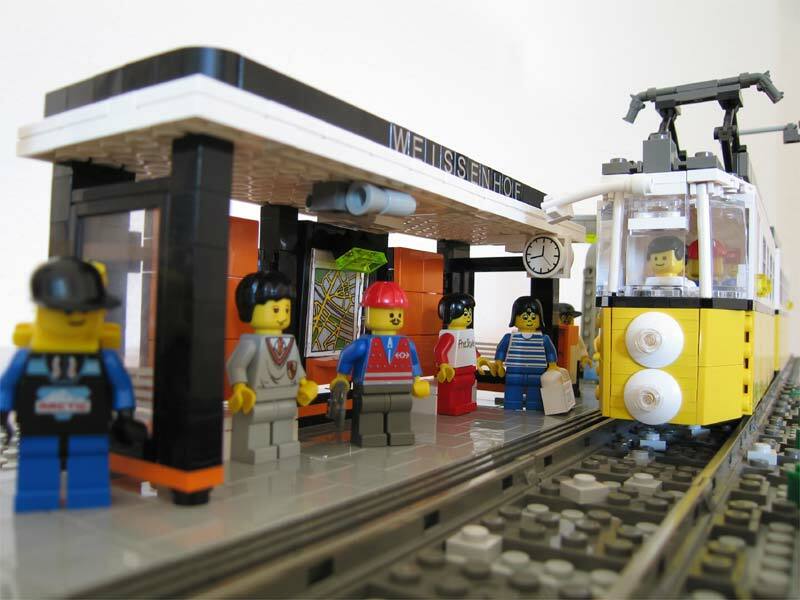 After I've build this tower in LEGO this tram shouldn't be missed. 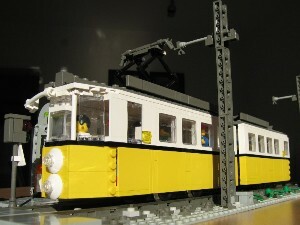 This tram model is my first 6-wide train model at all! It runs perfectly on straight and curved LEGO tracks, but it doesn't like points or S-shaped curves. 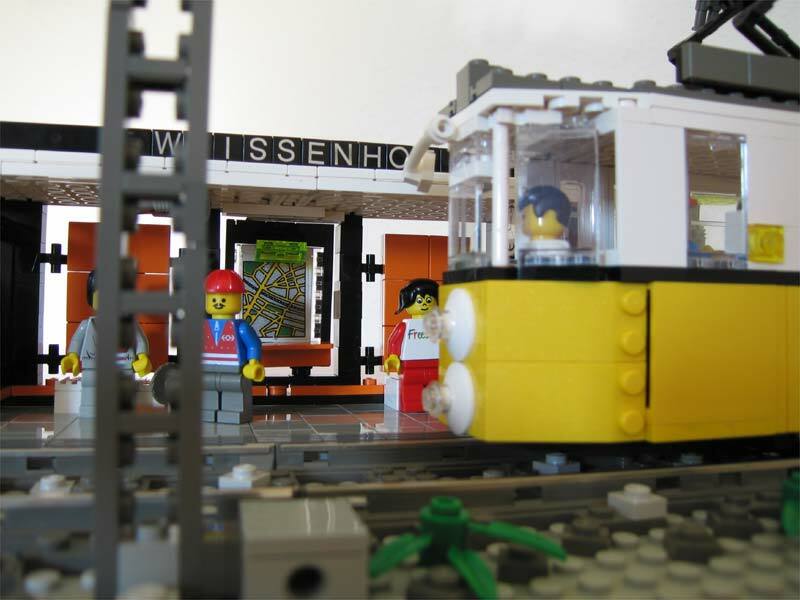 A station called "Weissenhof" doesn't exist in Stuttgart but maybe I will build some more architectural highlights from this famous living estate in Stuttgart in the future? 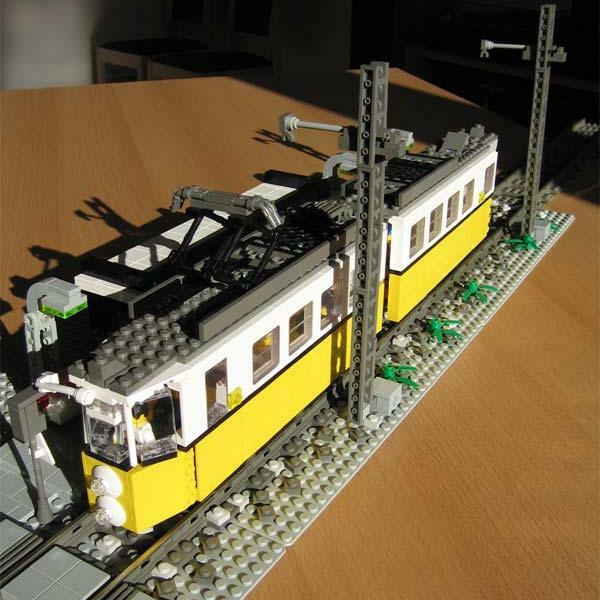 Due to it's characteristics the two sections can only rotate in the middle. 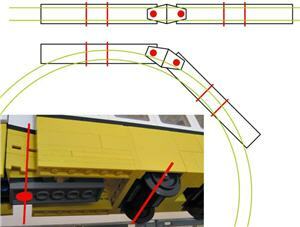 The axles are fixed to each section and can not turn separately. 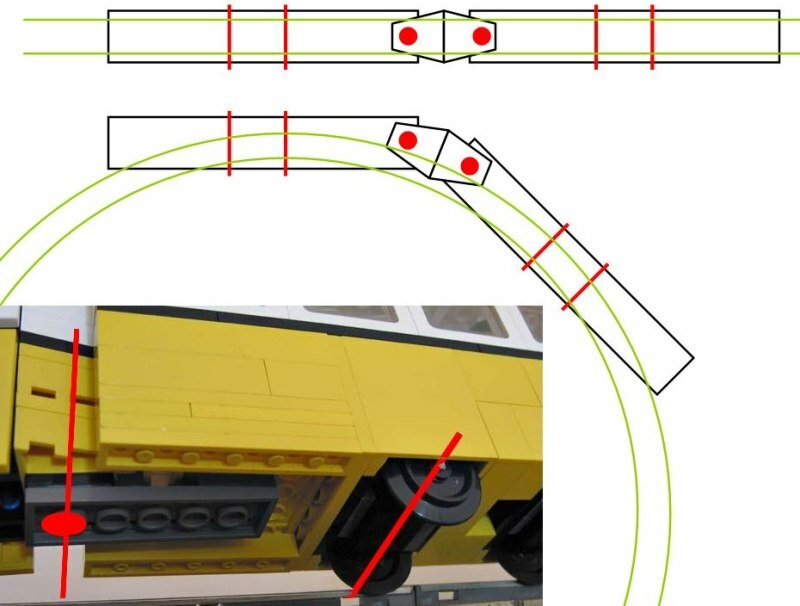 Thereby only straight and curved LEGO work well, but no points or S-shaped curves.